Sesame Street has asked the Obama campaign to take down its latest attack ad against Mitt Romney, which features footage of Big Bird. 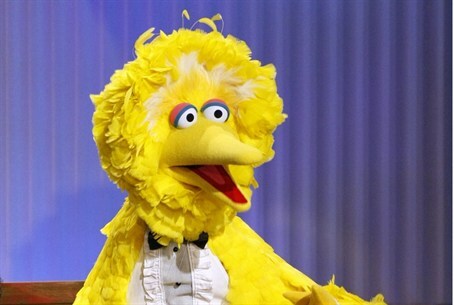 The Sesame Street children’s program has asked the Obama campaign to take down its latest attack ad against Republican adversary Mitt Romney, which features footage of Big Bird. "Sesame Workshop is a nonpartisan, nonprofit organization and we do not endorse candidates or participate in political campaigns," a statement posted Tuesday on Sesameworkshop.org reads. "We have approved no campaign ads, and as is our general practice, have requested that the ad be taken down." The Obama campaign said it would review the request. The ad is airing on national cable and broadcast television in time slots devoted to comedy shows, the campaign said. During last week’s first presidential debate, Romney announced that as president he would cut funding for the Public Broadcasting Station (PBS). “I like PBS. I love Big Bird. Actually, I like you, too,” Romney said, addressing debate moderator Jim Lehrer, the host of PBS's "NewsHour." “But I'm not going to keep on spending money on things to borrow money from China to pay for." Obama has repeatedly mocked Romney for the comments, saying his opponent was "cracking down on Big Bird." The Obama campaign's 30-second ad suggests Romney is targeting children's programming rather than legitimate threats to the economy. "Big. Yellow. A menace to our economy," the narrator says. "Mitt Romney knows it's not Wall Street you have to worry about, it's Sesame Street." "These are tough times, with real serious issues. So you have to scratch your head when the president spends the last week talking about Big Bird," Romney said at a campaign event. "I actually think we have to have a president who talks about saving the American people."